Ena/VASP proteins are actin-associated proteins involved in a range of processes dependent on cytoskeleton remodeling and cell polarity such as axon guidance and lamellipodial and filopodial dynamics in migrating cells. 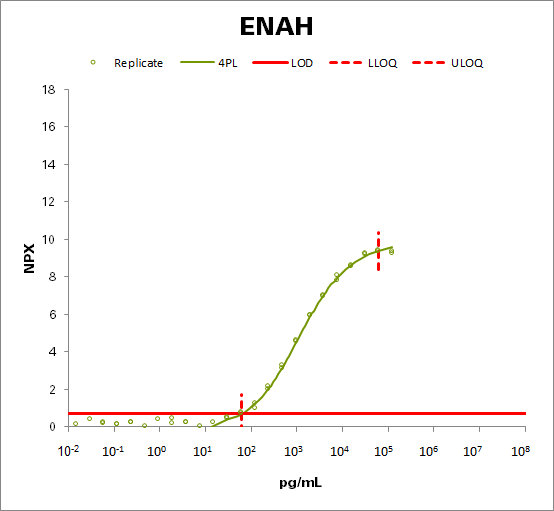 ENAH induces the formation of F-actin rich outgrowths in fibroblasts. Acts synergistically with BAIAP2-alpha and downstream of NTN1 to promote filipodia formation (By similarity).